300% EXTRA on your purchases! To help you get through the darkest months of the year! 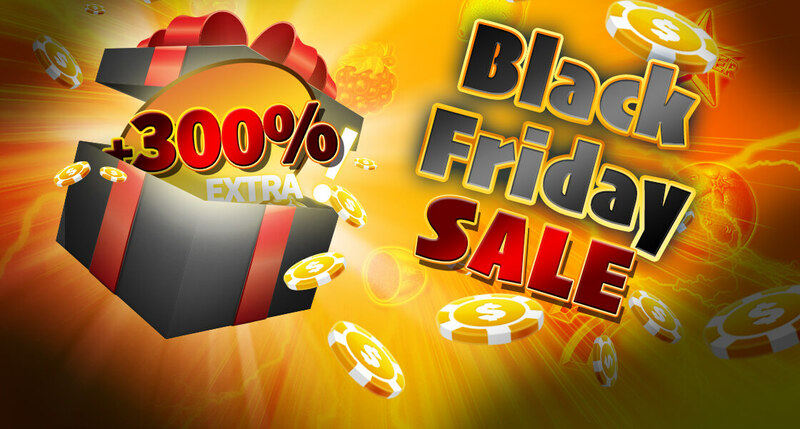 Black Friday isn’t just a phenomenon in the USA; it’s also HUGE on Slotpark! We’ve got 300% extra on packs in the shop on November 23rd! Treat yourself to a bonus – go on, you deserve it!